Agincourt, fought on October 25th 1415, St Crispin's Day, is one of England's best-known battles, in part through the brilliant depiction of it in Shakespeare's Henry V, in part because it was a brilliant and unexpected English victory and in part because it was the first battle won by the use of the longbow - a weapon developed by the English which enabled them to dominate the European battlefields for the rest of the century. 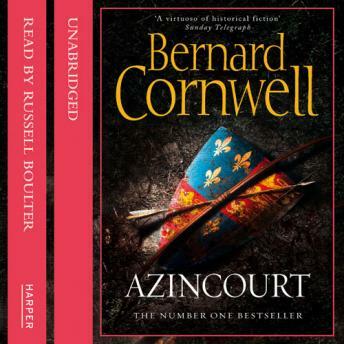 Bernard Cornwell's Azincourt is a vivid, breathtaking and meticulously well-researched account of this momentous battle and its aftermath. From the varying viewpoints of nobles, peasants, archers, and horsemen, Azincourt skilfully brings to life the hours of relentless fighting, the desperation of an army crippled by disease and the exceptional bravery of the English soldiers.